Most businesses dream of having millions of fans. For the St. Louis Blues, it’s an everyday reality. While the NHL team competes in front of arenas full of screaming supporters on the ice, its social media department is tasked with serving fans online. With the help of Sprout Social, the organization reaches goals in addition to scoring them. 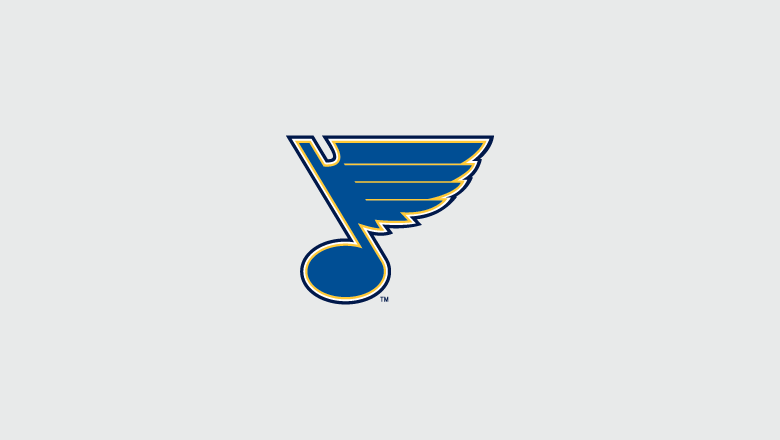 In the past year alone, the Blues have driven approximately 403 million impressions, 9 million engagements and 2 million link clicks via social. There was a time when the digital landscape in sports was transforming quicker than many teams – including the Blues – were staffed to handle. Matt Gardner, Vice President of Digital Media & Emerging Technology at the St. Louis Blues, worked with another team member to manage all digital touchpoints, from websites and social media to email and mobile apps. The organization needed a tool to offset its workload and take the execution of its social strategy to the next level. How the organization used Sprout quickly evolved. “When Elise [Butler, Social Media Coordinator] joined the team, she was really able to jump into the tool even more and better take advantage of the different features it offers,” Gardner said. For Butler, that includes hunting down relevant online conversations and assisting fans in need. Sprout’s social monitoring features also support customer service during games. The great thing about Sprout is we’re able to really look at how well a post is performing and make more informed decisions on how we should move forward with our strategies. While the Blues’ social strategy has transformed since the organization signed on with Sprout in 2012, its primary goal remains the same: Getting content in front of as many people as possible. Features such as ViralPost allow Sprout users to automatically publish content at the most optimal times for specific audiences, while Sprout’s robust reporting options make it easy to evaluate performance. Of course, measuring results is a tall order when you manage profiles across multiple social channels. Or at least it used to be before Sprout. Teamwork is vital to the Blues on and off the ice, making collaboration tools a must. The team handles social for the Blues’ arena, Enterprise Center, as well as the Peabody Opera House, a neighboring performing arts venue. Then there’s the team’s mascot accounts, ice crew accounts, its alumni association account and so on. The ability for multiple team members to go in and make changes in Sprout is essential in an industry where the unexpected is, well, expected. We realized very quickly, I think within six to eight months of using Sprout, how it was helping us with everything like monitoring and scheduling and then measuring how we were performing. A couple teams reached out asking what social media tools we were using and so, based on how it was working for us, we referred those teams to Sprout. Sponsorships are another huge part of business for the Blues, and another area where Sprout simplifies workflow. “Previously, if we wanted to provide sponsors with analytics, we had to go through and individually pull every single post from every account on the backend,” Butler said. When you consider the number of posts some sponsors may have over the course of an 82-game season, the time and energy put into this endeavor adds up quickly. In fact, the organization is such a Sprout fan that it’s recommended the platform to other NHL teams. 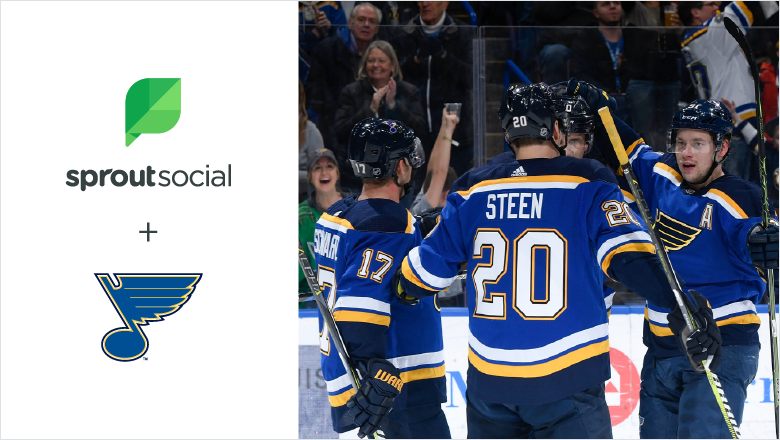 Brand awareness is a key metric for the St. Louis Blues, and with the help of Sprout, the team hasn’t disappointed. The organization has experienced significant follower gains across social channels since starting to use Sprout Social in 2012, and those trends continue today. Year over year on Facebook, Twitter and Instagram, the Blues saw a 2.2% increase in total social followers (1.1 million followers). Month over month, the team’s total social fans grew by 0.2%, including 1,251 new Twitter followers and 1,972 new Instagram followers. Yet Sprout’s ultimate value is arguably how it empowers the Blues organization to work efficiently and effectively. Now if only they handed out a Stanley Cup for social media. But Gardner, Butler and the rest of the squad will happily settle for streamlining social strategy, serving the fans and keeping sponsors satisfied using Sprout Social.